We, conservatives, Christians, have been under attack for decades, since the sixties if not earlier. Initially, no one really cared, nor took any interest in the attacks. This is America, after all. We all have 1st Amendment rights. Don’t we? We can’t lost that! It can’t happen here. Well, it can happen here. Our first amendment rights, as well as all the other constitutionally protected rights are under attack. The left has carefully seeded hate against us and those seeds have now sprouted. If you doubt this, just scan the headlines. You needn’t read the articles, the headlines will tell you enough. For those of you who have been living under a rock, a bakery in Oregon, Sweet Cakes, was targeted by a lesbian couple. They asked the bakery to make a wedding cake. The bakery refused saying it was against their religious beliefs. The lesbian couple sued for discrimination—and won. The bakery’s 1st Amendment right was ignored. The liberal court assessed the bakery a fine large enough to bankrupt them. The headline above tells the rest of the story. In another instance, the John Hopkins University Student Government has banned Chick-fil-A from their campus. Why? “Johns Hopkins University has banned Chick-fil-A from its campus saying that the restaurant is a “microaggression” against its students.” It mattered not that Chick-fil-A has no presence on the university campus. The act was nothing more than pure spite. These were attacks against Christians and a Christian-owned business. But these aren’t the only instances of hate and violence. Rabid environmentalists have used violence for decades. Usually those acts were against property. One of the latest attacks was direct violence against a person, an employee of a company. Get ready for a week of introspection from the press, particularly the left-leaning media, as a wave of tortured self-criticism characterizes coverage of what is sure to dominate the news cycle for the foreseeable future… LOL. Just kidding! A disturbing story out of West Virginia flagged by The Washington Free Beacon’s Lachlan Markay indicates that a man, enraged by the drilling taking place in his state, shot an employee of an energy exploitation company on Monday. A man dressed in camouflage with his face painted black approached Mark Miller, an employee with HG Energy LLC, on Joe’s Creek near Sod, Napier said. “At that time he played Mr. Miller a recording that said ‘Stop the drilling’ and then stuck a gun through the window of the passenger side of the truck,” [Lincoln County Chief Sheriff’s Deputy J.J.] Napier said. A reporter with The Charleston Gazette called a member of the West Virginia Sierra Club for comment and received unequivocal condemnation of this violent incident, but the episode has received little attention in the national press. For a media culture that is quick to blame conservatives for every episode of violence with a potential political motive, the commentary community’s silence on this incident is deafening. The column continues listing the instances where the lefties acted with violence. In some cases the liberal media tried, and failed, to blame conservatives for the acts of violent liberals. The left has purposely sought to divide the country. A country divided is weak and when weakened, that nation is susceptible for a takeover. A coup, in other words. A coup need not be a violent overthrow, it can be insidious, a chip here, a chip there. The question is not how, but when. When will the people of this nation wake up and resist. That resistance need not be violent, either. The same methods used by the left, can also be used by us to counteract the left. With Obama, Holder and the new Holder clone as Attorney General, the left is emboldened. The current crop of GOP leadership in Washington are willing enablers of the coup. They fear the left and are abetting them. We have a chance to make corrections. Remember Cruz, Walker, Paul, and Rubio, each a conservative, when the election cycle commences. Remember, too, that Boehner and McConnell must go along with their cronies in Congress. Jason Kander, our democrat Missouri Secretary of State and scion of the Kansas City democrat political machine, has announced he will run against Senator Roy Blunt in 2016. Kander received the endorsement of the entire Missouri democrat team as well as from the KC ‘Red’ Star. Surprise, surprise! Attorney General Chris Koster, who is readying to join Kander on the statewide slate in his own run for governor: “Every day, Jason Kander uses the lessons he learned serving in the Army in Afghanistan to do what’s right for Missouri. He doesn’t care who gets credit for an idea, he just wants to get the job done for our state. We need that approach in Washington, which is why I am supporting Jason Kander for United States Senate.” — PoliticMO Newsletter, February 19, 2015. So it will be Turncoat Koster running for Governor teaming with Kander running for Senator. All in all, Kander has a better rep than Koster. Still you have to wonder, in this ‘race of the Double-Ks’ who is helping whom? An idea whose time has come? Missouri already has a Voter-ID law on the books. There are a number of acceptable forms of ID listed on the Missouri Secretary of State’s website. This new effort will add a Constitutional Amendment to give more teeth to the existing law which has a number of exceptions that still allow people to vote without proper ID. The existing law is a good first step, but, reviewing the documented acts of vote fraud in St. Louis and Kansas City, it isn’t enough. JEFFERSON CITY, Mo. (AP) — The Missouri House is once again pushing forward with a Republican priority to require photo identification at the polls, after similar measures were stymied by the Senate or courts in recent years. The House gave initial approval Wednesday to a proposed constitutional amendment that would go before voters in 2016 and also endorsed a bill that would institute the voter photo ID requirements if the constitutional amendment is approved. Both measures need a second House vote and also would also have to pass the Senate, where Democrats have previously blocked the proposed photo ID requirements. Supporters say the requirement is needed to ensure the integrity of the election process. Rep. Rick Brattin, R-Harrisonville, said the measure would protect individuals’ voting rights by making sure someone does not try to vote for another person. “It ensures that someone did not take their vote and steal what is rightfully their vote,” Brattin said. If you read the full article at the website, you will see, as usual, democrats, abetted by MO Secretary of State Jason Kander, protesting the measure because it would make their continuing vote fraud schemes more difficult. Have you heard the term, Social Justice Warrior? It’s all the vogue on university campus across the country and in other segments of society (see my post concerning the SFWA and the Hugo Awards.) Social Justice Warriors have become the progressives’ front-line troops in their battle against free speech and expression. Since the late 1960s, radical students have periodically taken over the university president’s offices to propose a laundry list of “non-negotiable” demands. Early takeovers tended to be about their school’s cooperation with the military during war in Vietnam; today, however, “social justice” is the aim so let’s call these office occupiers Social Justice Warriors or SJW’s. Back in February 2014 a group of 30 Dartmouth students commandeered the president’s office to announce a “Freedom Budget”:70 specific calls for greater diversity, eliminating sexism and heterosexism, an improved campus climate for minorities and gays, banning the term “illegal immigrant,” offering a class on undocumented workers in America, creating a professor of color lecture series, and harsher penalties for sexual assault, among many, many others. More recently, Clemson University SJW’s demanded that the school provide a “safe” multicultural center for students from “under-represented” groups, employing more administrators and faculty of color, a more diverse student body, mandatory sensitivity training for faculty and administrators, and increased funding for students organization catering to under-represented groups. Then there are the University of Minnesota students who seized the President’s office to demand a bigger budget for the Department of Chicano and Latino Studies Department, removing all racial descriptions from university police reports, offering gender-neutral bathrooms at all college facilities and, of course, recruiting more faculty and students of color. Fortunately, this is the U.S., where such political histrionics are greeted with mild amusement. Ironically, school officials typically welcome “meaningful political dialogue and change,” the need for “hard work” to achieve progress and then conclude by thanking the Social Justice Warriors for their assistance in moving forward. Though police may remove protestors, criminal charges, let alone violations of campus rules, are rarely pursued and the moral buzz for these SJW’s may last weeks. In fact, I suspect some warriors honestly believe that their achievement will burnish their resume when applying to a second-tier MBA program. Imagine if these SJW’s tried this in Russia or China? Such incidents are easy to pooh-pooh as the politically-correct version of Animal House. But that said, they nevertheless offer important insights into today’s college activist’s thinking and why university administrators tolerate the foolishness. Most evidently, the Social Justice Warriors totally disregard the costs associated with their self-righteous crusades. Everything is single-ledger accounting. Will the tooth fairy fund Dartmouth’s proposed $3.6 million dollar Triangle House, the “safe haven” for LGBT? Yes, high-school dropouts may believe that government benefits are “free,” but youngsters admitted to top colleges? No wonder the U.S. sinks deeper and deeper into indebtedness — even among the smart, costs are invisible. Picture a Warrior taking Econ 101 and hearing for the first time that there is no such thing as a free lunch. What a shock! The shallowness of these demands is breathtaking and suggests that these activists are just winging it. The Dartmouth students are surely among America’s brainiest but why do they denounce “ableism”? Are they suggesting that acknowledging variations in ability is morally wrong and if differences are to be abolished (hopeless anyhow), how would society function? Why must the campus offer gender-neutral bathrooms? Keep in mind that in a few decades such folk may be among our national leaders. Particularly troublesome is how these presumptuous, self-centered warriors think that if they think something is good, it must be good, so case settled. For example, they glibly assume that academically challenged black and Chicano youngsters really benefit by attending schools that would never admit them in a merit-based admission process. Have these young do-gooders considered the downside of this generosity — schools will fake the numbers by creating easy-to-pass courses in dubious ethnic-studies departments, steering them to easy grading instructors or just tolerating rampant grade inflation. Or, more important, that these in-over-their-head youngsters may be better off in community college acquiring well-paying skills like welding? Closer to home, have these SJW’s calculated the link between achieving their vision of “social justice” and tuition? Attracting minority students, addressing their academic deficiencies, creating a nurturing environment and all the rest costs money, and this will inevitably push soaring tuition even higher and, since there is no Santa Claus, a college education will be yet further beyond the reach of many poorer students while saddling graduates with yet more debt. In effect, these idealistic protestors are demanding a tax on those who are not members of their version of “under-represented.” Imagine if these SJW’s had to hold jobs to pay their own tuition? Do these Social Justice Warriors realize that their demands will require administrators to break the law to achieve this multicultural Utopia? That is, under today’s judicial guidelines it is almost impossible to admit students solely on the basis of race or ethnicity. California, Michigan, and Washington (among others) have state laws explicitly banning racial preferences. Why do schools tolerate such idiocy, including ignoring violations of campus policy? The answer is that no matter how imprudent the demands, they help drive the university’s bureaucratic expansion, and in today’s campus life, size matters. A symbiotic relationship exists between the children’s crusades and yet more bureaucratic bloat. Universities are not the profit-driven private sector. Absolutely everything, everything in every one of these SJW catalogues entails spending more university money, hiring more personnel, and creating yet more rules and regulations and the apparatchiki to monitor and enforce them. It is a long article and I urge you to follow this link to the website and read the entire piece. It may be an education for you; make you aware of another insidious attacks against our liberty by ‘progressives.’ Joe Stalin and Adolf would be proud of them. 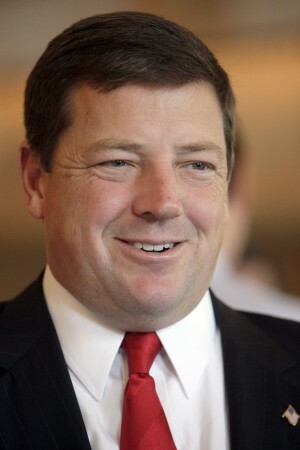 Missouri GOP Chairman Ed Martin announced his resignation yesterday. Rumors had been floating around some some weeks before the announcement. Martin is leaving to become President of Phyllis Schlafly’s Eagle Forum. The announcement did surprise many. Today, we’re hearing some news who may replace Martin. Some are well-known conservatives. Others, such as the protégé of Ron Richard, aren’t. Yesterday Ed Martin announced he was not running for re-election for the Chair of the Missouri Republican Party, instead taking a position with The Eagle Forum. When I heard that, I only knew of one person who was in the hunt: John Hancock. I hadn’t, but today I have a name: Eddy Justice. Justice has shown interest in leading the Missouri GOP, but didn’t want to challenge Martin. He said he didn’t have any problem replacing him though. Another name that’s being mentioned is Pat Thomas, current Secretary of the Missouri Republican Party. She’s also deputy Treasurer. Finally, a name I’m hearing as being possibly recruited for the position is Nick Myers, Newton County GOP Committee Chairman. Myers is a good friend of Sen. Ron Richards, and a power player in southwest Missouri. So, overnight, this turned from a one man race into a bit of a dog pile for the leadership of the Missouri GOP. I’ll be working on doing some profiles on each of these folks. I’m reminded how Ron Richard betrayed the GOP by reversing his votes in the last veto session and in the veto session in 2013 to block passage of some key bills. The 2013 reversal came after a mid-east junket with democrat Governor Jay Nixon. Ron Richard had earlier voted for the bills. But when it came to support the GOP, he didn’t. Richard has no core principles other than his own advancement. Consequently, I would not be a supporter for anyone connected to him. CNBC Reporter Kelly Evans, tried to ambush Senator Ron Paul during an interview. Paul didn’t fall for the tactic and turned the tables. Before the interview left the air, Paul called Kelly’s attempts as ‘slanted’. I always like to see a lib’s plan fail. Especially when it backfires so spectacularly. I’m not a believer that vaccines cause autism. I believe it falls into the same category as global warming—cherry picked data to fit a preconceived objective. The originator of the ‘vaccine causes autism’ cherry-picked data and actually fabricated data in a study that started this controversy. Every study since, that I’ve examined, still uses that original false study as source document. Be that as it may, I also believe it is a parent’s right to choose which, if any, inoculations her or his child receives. The libs are pushing for mandatory vaccinations using the current measles outbreak as justification. The ‘anti-vaxxers’, as they have been called, claim that their children are the only ones at risk. Those vaccinated should not fear being infected. That last statement, too, is false logic. First, no inoculation is 100% perfect. Some will get sick regardless. The inoculation will not work for some. Some, whose immunizations work, can still be a carrier. There is some justification for inoculation. However, the final choice still belongs to parents, not government. The current buzz today is the straw poll conducted on the Drudge Report yesterday. Scott Walker was the clear leader of the possible GOP candidates with 46% of the votes. Ted Cruz was second with 14% and Ron Paul third with 12%. The poll is meaningless, of course, but it did create a storm of discussion on the ‘net! For me, it was a toss-up between Walker and Cruz. I’m more aligned, politically, with Ted Cruz. On the other hand, Scott Walker has proven to be a fighter and the GOP needs a fighter. There are none in Washington, DC.